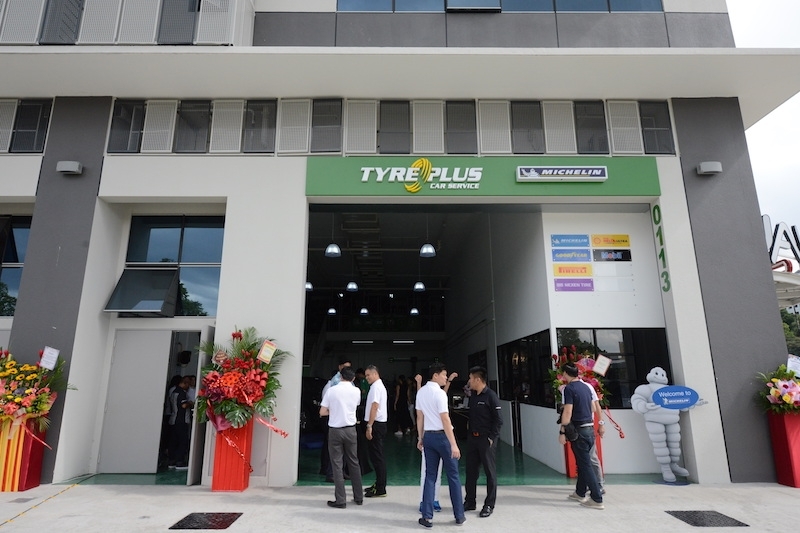 Tyreplus, one of the world’s largest one-stop car maintenance centres with over 2,000 outlets in 17 countries, has launched its first ever outlet in Singapore. Located at Wave9 Woodlands Industrial Park, its flagship outlet offers a wide range of premium, mid-range and right down to budget car services, including tyre change and repairs, wheel balancing, wheel alignment, alloy wheel maintenance, battery change, vehicle servicing, oil change, brake servicing, lubrication and also air-conditioning services. Committed to offering both individuals and corporate car owners the tyre safety they deserve, Michelin has partnered Hock Tyre Group to launch Tyreplus in Singapore. 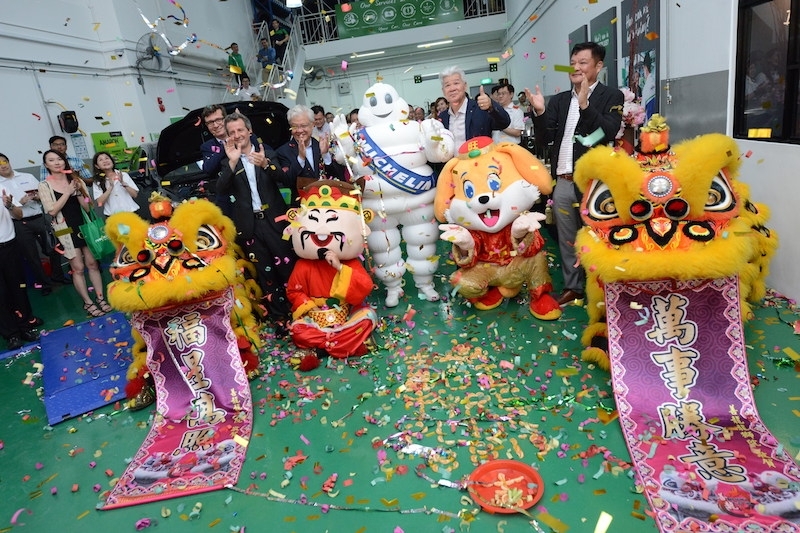 “Michelin is committed to offering both individuals and corporate car owners the tyre safety they deserve. This strategic partnership with Hock Tyre Group has enabled us to bring Tyreplus into Singapore,” said Mr Chan Hock Sen, Country Director of Michelin Singapore. As part of Tyreplus’s focus on driver and passenger safety, the company’s trained and experienced technicians follow a comprehensive Safety Check Points list that is used by specialists across 17 different countries. Armed with this list, they are able to address any needs and concerns of the customers and ensure that work is delivered to the highest standards. Customers receive this free check when they sign up for any Tyreplus services. Unique to Tyreplus is the ‘Groove Glove’. A laser-powered instrument, Groove Glove measures tyre tread depth by taking thousands of readings across the face of the tyre, and from shoulder to shoulder. Buoyed by 120 proprietary algorithms, this handheld device provides detailed, scientifically-derived cross-sectional wear information. Customers can retrieve their tyre health reports via a weblink, or by scanning a given QR code. The report projects braking distance, and immediately advises drivers if they need to adjust their tyre’s suspension alignment, or if a tyre change is required. 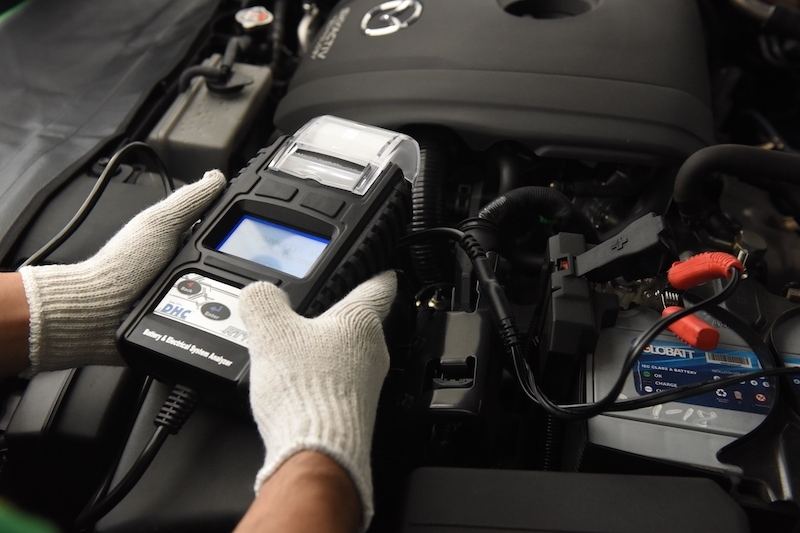 “With the launch of Tyreplus in Singapore, we aim to raise the profile of the car servicing industry through the adoption of advanced technologies and procedures that adheres to international standards. Individuals and corporate car owners can come to Tyreplus and get detailed report so that they know exactly the problems and troubleshooting services they are paying for. We aim to open more outlets so that our consumers can visit Tyreplus within 15 minutes’ drive,” said Mr Tay Ming Wah, Chairman of Hock Tyre Group.